Director General of Archeological Survey of India (ASI) will be responsible for maintenance of the Taj Mahal while joint secretary of Ministry of Environment and commissioner of Agra Division will jointly be in-charge of the Taj Trapezium Zone (TTZ), the Supreme Court recorded today after a submission in this regard from AG K K Venugopal and the ASI. On the last date of hearing –June 26- the bench of justices Madan B Lokur and Deepak Gupta had wanted to know who is in charge of the the Mughal era monument and the TTZ as authorities- ASI, UP government, Centre-MOEF and tourism ministries spoke in various voices and pulled in different directions while pollution destroyed the monument changing its colour “from white to brown to yellow to algae-affected green”. “Look somebody has to take responsibility for its protection. You should be ashamed that we have to tell this to you”, the bench had said and asked Centre to apprise it as to which departments of the central and Uttar Pradesh governments would be responsible for the maintenance and protection of the Taj Trapezium Zone (TTZ) and the Taj. Meanwhile when petitioner and environmentalist M C Mehta sought revamping of TTZ Authority, the bench directed lawyers for Centre and ASI to take instructions in this regard. The bench had earlier slammed the authorities, saying it will be an embarrassment if the UNESCO withdraws its world heritage tag accorded to the ivory-white marble mausoleum, which is losing luster due to pollution. On the last date of hearing, the Supreme Court said the maintenance of the iconic ivory-white marble mausoleum has become a joke. “The Taj Trapezium Zone management is a flop. Everything has become a joke. What is this Tamasha going on? You can make a comedy show out of it”, the bench had told the District Magistrate of Agra who had been summoned to the court. 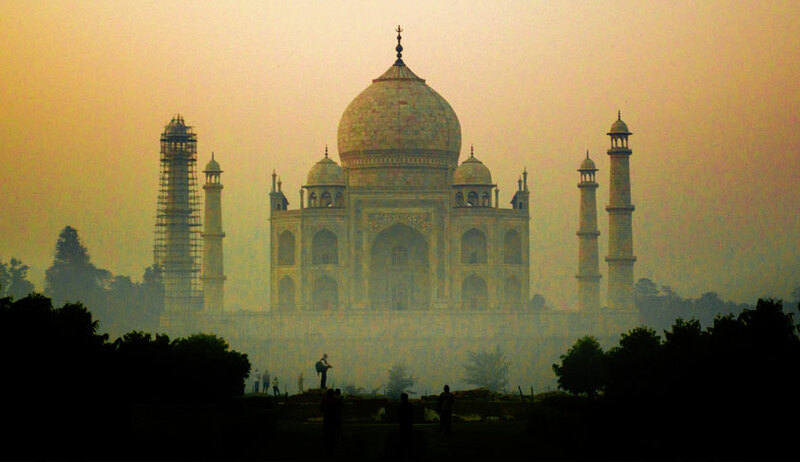 The bench had also said it will be an embarrassment if the UNESCO withdraws its world heritage tag accorded to Taj. The court was particularly angry as it found that 1,167 polluting industries still functioned from the Taj Trapezium Zone(TTZ) in clear violation of several of its orders and there was no authority to own up the brazen violation of its earlier orders. “ There is multiplicity of authorities- UP govt, Tourism ministry, Environment ministry, ASI but no one does anything. The left hand does not know what the right hand is doing”, said Justice Lokur. The court was very angry as there were no convincing answers from a huge battery of lawyers present in the courtroom including Attorney General K K Venugopal , Centre’s topmost lawyer, as to who was the authority in charge of the upkeep ofTaj Mahal and or to ensure that court orders were being complied with pertaining to the Taj Trapezium Zone (TTZ). Justice Lokur was also angry as the ASI was not consulted when the UP government worked on the draft vision document aimed at restoring the Taj to its pristine glory.